Parasailing is a surreal experience and there's no better place to experience this than Orange Beach and Gulf Shores, Alabama. If you have only watched from below, you haven’t experienced the rush of the air lifting you high into another realm where your world becomes the water, the sky and the beating of your heart. Sugar-white sand beaches below mark the line where earth and Gulf meet. 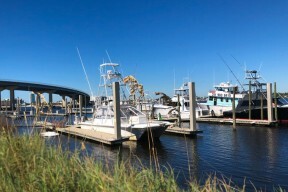 As the boat pulls you and you're watching from above, the turquoise waters of Gulf Shores and Orange Beach merge into the distant blue horizon, enveloping you and transporting you away from the cares of the world. It’s a whole different state of adventure and it’s available for your beach vacation. That’s it! There are no special physical conditioning or athletic abilities required. If you can sit in the harness, you can parasail. 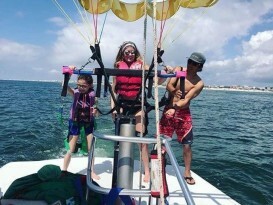 Because there are no special skills required, Gulf Shores parasailing is the perfect vacation adventure for the entire family. Simply let our experts take care of your safety precautions, drive the boat, and just enjoy your time flying above the Gulf Coast. It is also ideal for group travel or with friends who may not all have the same level of physical conditioning. 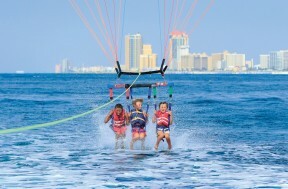 Parasailing can be enjoyed as a single adventure or with others in double or triple harnesses. Children can accompany parents aloft and couples can soar into the blue together. No one has to sit on the beach and watch. 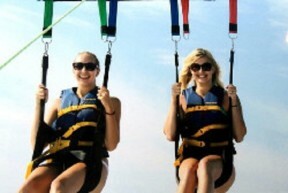 All your friends can parasail and share the adventure of a lifetime. It’s a good idea to schedule your parasail boat adventure early during your stay. 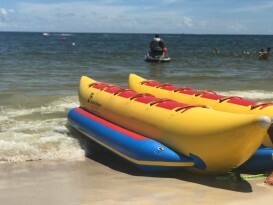 The licensed parasail operators of Gulf Shores and Orange Beach will do everything possible to accommodate you during your stay, but it’s always best to reserve a spot for you and your family in advance. It’s also recommended that you don’t wait until the last day of your stay and run the risk that Mother Nature may interfere and prevent your parasail experience. Whether you are an experienced parasailer or newcomer, chances are you may want to experience the joy of soaring over the Gulf more than once before your departure, so be sure to leave time for another parasail outing. Keep in mind that Gulf Shores and Orange Beach weather is mild year-round. 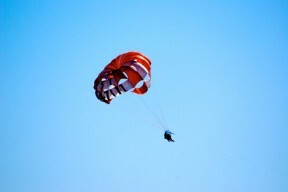 While summer in Gulf Shores is typically the most popular time for parasailing off our beaches, it is also a busy time for parasail operators, so it's best to plan ahead. 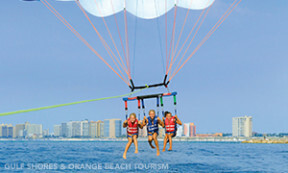 You might also consider booking a spring or fall parasailing excursion or tour. This may make scheduling a little easier and ensure that you get your chance to experience the delight of soaring over the Gulf during your stay with us. Ready for your parasail ride? Come down to Alabama's Gulf Coast this season and enjoy the experience of a lifetime. Be sure to book your Gulf Coast lodging, including options of Gulf Shores and Orange Beach condos, hotels and beach houses for rent! 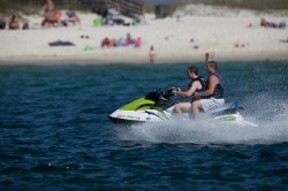 Fall Weather Is Perfect For Parasailing & Jet Skiing.